Life with Rosie and now Dash too! 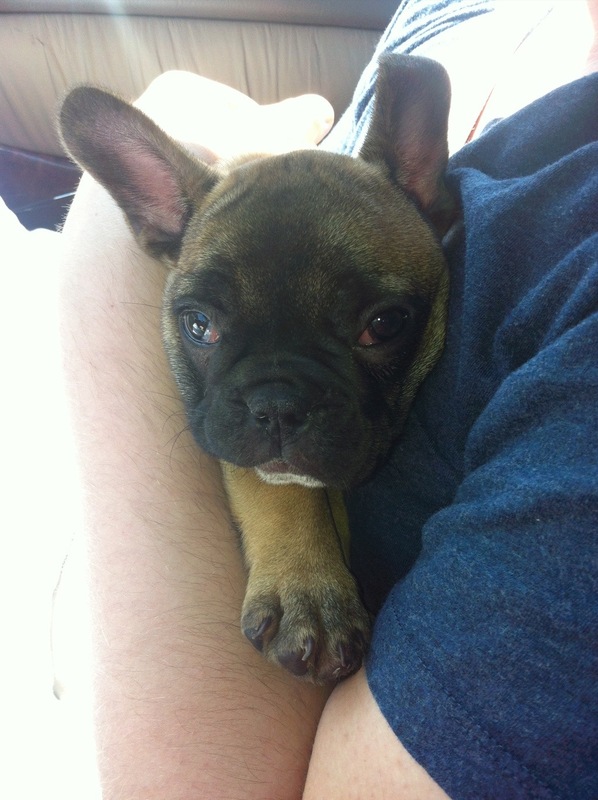 The last two-and-a-half months with Rosie have been so much fun and we love Frenchies so stinking much that we made the decision to add another one to our household. We’d hoped that when Rosie got older she would be a good candidate for breeding and we found her a compatible mate. He’s just two months younger than her so she isn’t robbing the cradle too much and when they are both fully mature he will likely outweigh her. 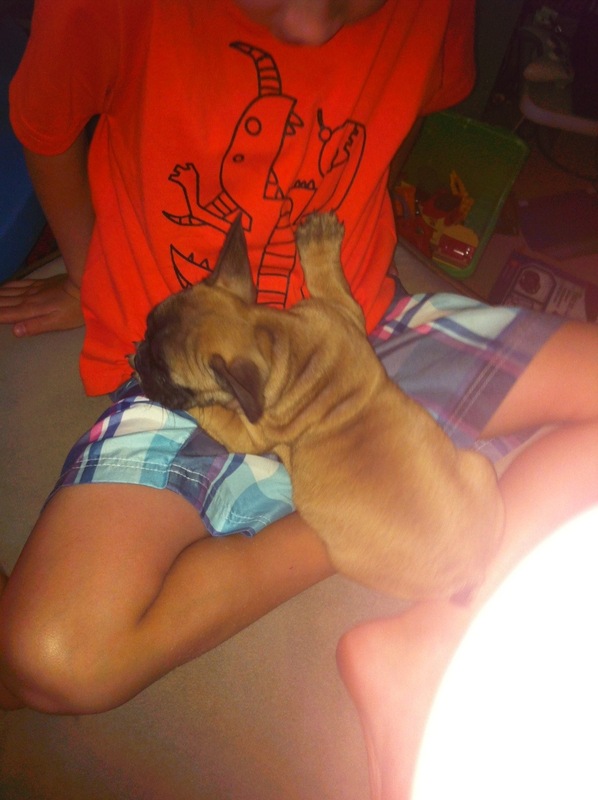 Most Frenchies snore to some degree. Some snore deeply like freight trains. 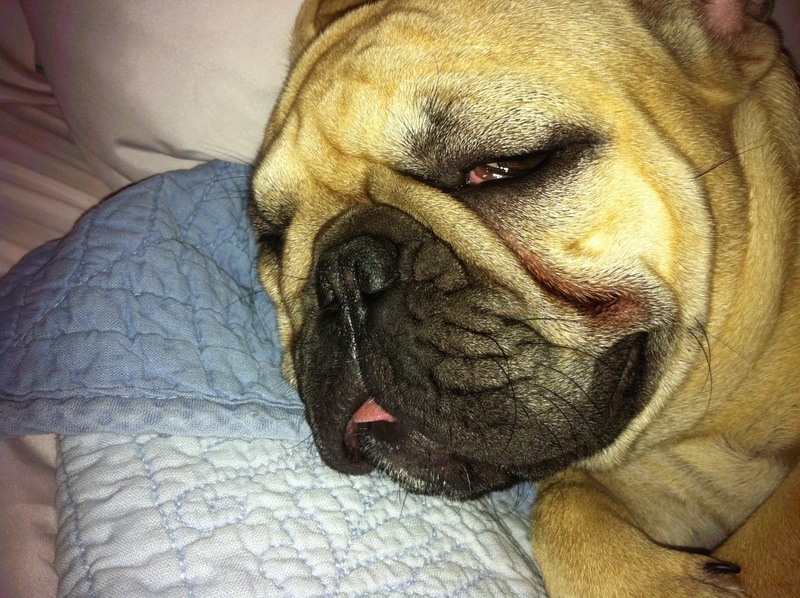 Rosie has a very delicate snore befitting her personality. It’s very cute and very sweet but very persistent. Right away when we got Rosie it was easy to see that she had this amazing personality. She was loving, calm (for a puppy), she was so smart and funny and I wanted to have the ability to share all of these funny adventures with the world. On the first day home, she enjoyed playing with a mirror we had set up against the wall; admiring the other puppy in the mirror! That first week, I took her to Bug’s first grade class. Rosie hadn’t had all her shots, so the kids could only pet her on her back, so one-by-one each of the first graders pet her while she sat quietly in my lap. She was so relaxed with all of the attention that she fell asleep. Rosie loved to make up or play games – we had a stuffed raccoon that had belonged to our Shih Tzu and she just never played with it so it sat in the toy basket for months. Rosie comes along and she decides that this raccoon is going to be hers and no one else’s. She takes this raccoon and plays with it, running around with it in her mouth, squeaking it, etc. But when she is done playing with it, she runs around the house or the yard and tries to find the very best place to hide the raccoon so that Daisy can’t find it. If she was hiding it outside, she would hide it in one of the crevices in the rock wall we have in our back yard. It was pretty cute and funny especially given that she was only 8-10 weeks old at the time! Now at four months old, Rosie is still the same sweet, goofy girl who loves to give kisses.